The deleted files will be disappeared permanently only when they’re overwritten by new data on your computer. 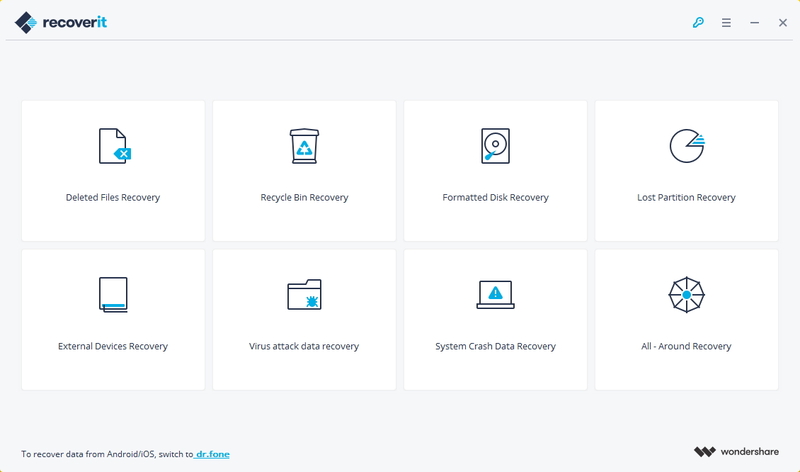 This means as long as your action is quick enough, the deleted files can be recovered with a Windows Vista deleted file recovery program like Recoverit Data Recovery for Windows. This risk-free and easy-to-use tool helps you to recover deleted files from Windows Vista with ease, no matter how they were deleted. Recently, you can easily recover all deleted files from your Windows Vista computer, such as music, document files, videos, images, etc. You can download a trial version of the tool to start Windows Vista deleted file recovery now! Free download recoverit on your windows computer and launch it. It helps you to perform deleted files recoverys, partition recovery and RAW hard drive recovery. Follow the nexr simple steps to recover deleted data from Windows Vista. You can select the partition/drive from which you want to recover deleted files and click “Start” button to let the program scan files on it. When the scanning is over, all found files on the scanned partition/drive will be displayed in “Tree View” and “File View” categories. If you could not find out what you are looking for, choose "All-Around Recovery" option. 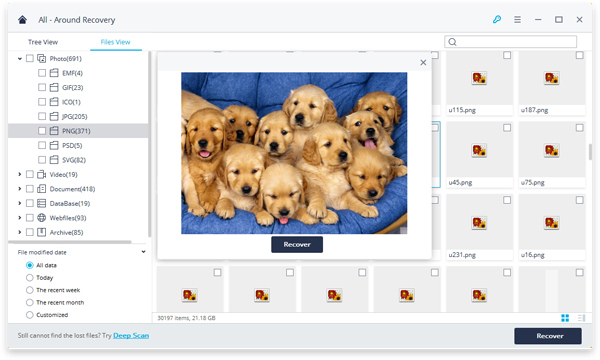 You can preview found images or view file names to check whether the deleted files can be retrieved from your Windows Vista computer. Then you only need to mark deleted files and click “Recover” button in the window to save them back to your computer.